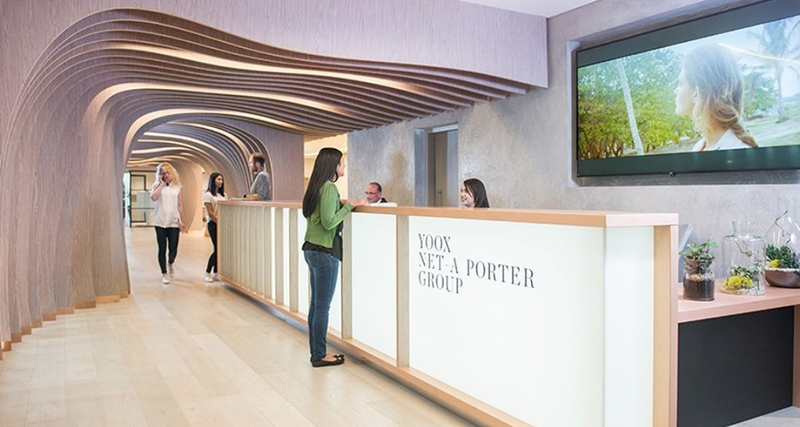 Yoox Net-A-Porter (YNAP), the world’s leading online luxury fashion retailer, has unveiled its new Tech Hub in the MediaWorks building at White City Place. 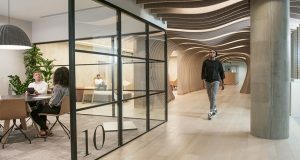 The 70,000 sq ft office space will accommodate 500 members of YNAP’s UK tech teams under one roof, with a further 100 jobs to be created in the coming two years. The hub will focus on developing artificial intelligence capabilities and delivering best-in-class technologies for unparalleled customer experiences. Designed by Sir Nicholas Grimshaw, the architect behind the Eden Project domes in Cornwall, the state-of-the-art facility features high-end soft furnishings and cleverly designed collaboration spaces to inspire flexible working. YNAP’s CEO Federico Marchetti officially declared the facility open in a ceremony attended by Grimshaw and London’s deputy mayor for business, Rajesh Agrawal. YNAP has also teamed up with Imperial College London, whose White City Campus is under construction, to launch an initiative to teach digital skills such as coding to local children, especially young girls. YNAP’s fellow tenants at MediaWorks include co-working space Huckletree West which will open its doors in September for up to 500 members and will include virtual reality studios, a 150-seat auditorium for creative and cultural events, and a large café overlooking the central garden that will be open to all tenants on the estate.